Prepare yourself for a crazy guitar-driven whirlwind tour through mystical prog rock, demented jazz metal, flipped-out fusion, otherworldly odd meter electronica, hyper-shred freakout solos, evocative ethno-flavours and psychedelic soundscapes! 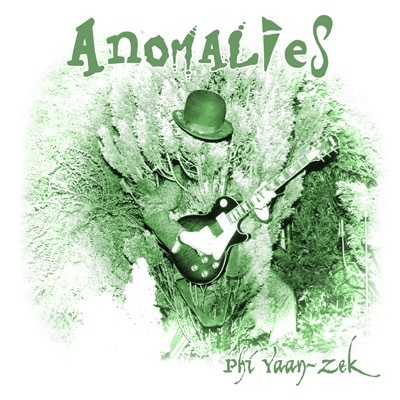 This is the long-awaited re-release of Phi Yaan-Zek's most eccentric 2nd album "Anomalies". Newly remastered and remixed, this special 10th Anniversary edition features 3 bonus tunes not on the original release plus new artwork, photos and extensive liner notes all packaged in a full colour 12 page booklet. 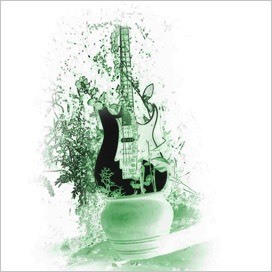 Originally released in 1997, "Anomalies" is a highly enjoyable and original journey through Phi's earliest guitar-based instrumental recordings from the 1990s, which recalls at times the most playful elements of Zappa, Keneally and early Vai. Joining Phi on this fun and daring musical adventure is a line-up of exceptional musicians including ace UK drummer Andy Edwards (Robert Plant, IQ, Neo, Frost), former Robert Plant bassist Mark Hartley and renowned piano/keyboard virtuoso Lalle Larsson (Karmakanic, Electrocution 250). Throw in Phi's explosive guitar playing and compositional prowess into the mix and you have a guitar instrumental adventure like no other!